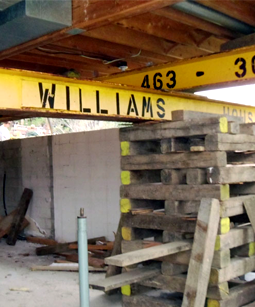 Williams Building & Moving :: We Move It All! 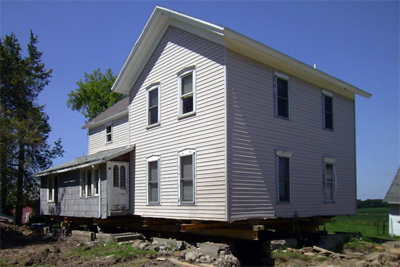 Williams Building Moving and Raising Company is your trusted source for all your building moving needs. We are family-owned and have been in business since 1948. We understand the care and concern you have for your structure. We have an excellent reputation in the field of structural moving and we’re proud to carry an A+ rating with the Better Business Bureau. Whether it’s raising the structure for a new foundation or moving the building to a different location, we have the experience and equipment needed to get the job done right. Raise to Repair or Replace Old Foundations.